Young children will love looking at the world through the lense of this play camera. The kaleidoscope in the lense can be rotated making multiple images that spin around. The pretend shutter button on the top can be pressed and there's a handy wrist strap just like the real thing. 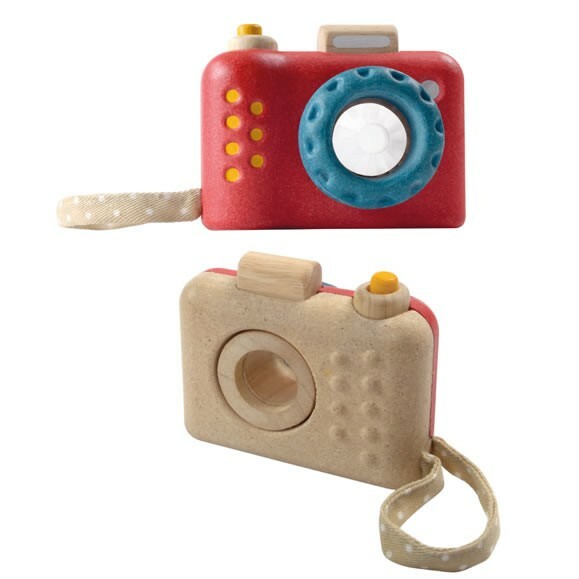 A lovely play camera that makes a fab eco gift. Plan Toys are the original eco toy makers. 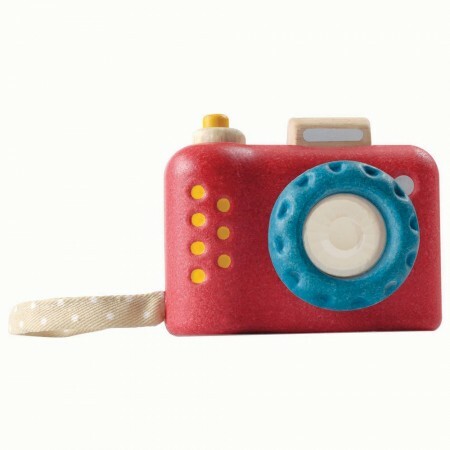 Proudly made in Thailand utilising exhuasted rubber wood plantations to create fabulously fun and ethical wooden toys. Eco friendly sustinable and safe materials, low carbon manufacturing, equal opportunity and fair trade working environments, eco packaging and brilliant designs. Plan Toys are a firm favourite of ours here at Babi Pur. The trunks of the rubber wood trees are used to make solid and plywood toy pieces while the offcuts and branches are used to create "Plan Wood". The toys themselves are stimulating and exciting promoting all sorts of child development skills. From dancing alligators to city road and rail to fancy dolls houses, brilliant fun for everyone.